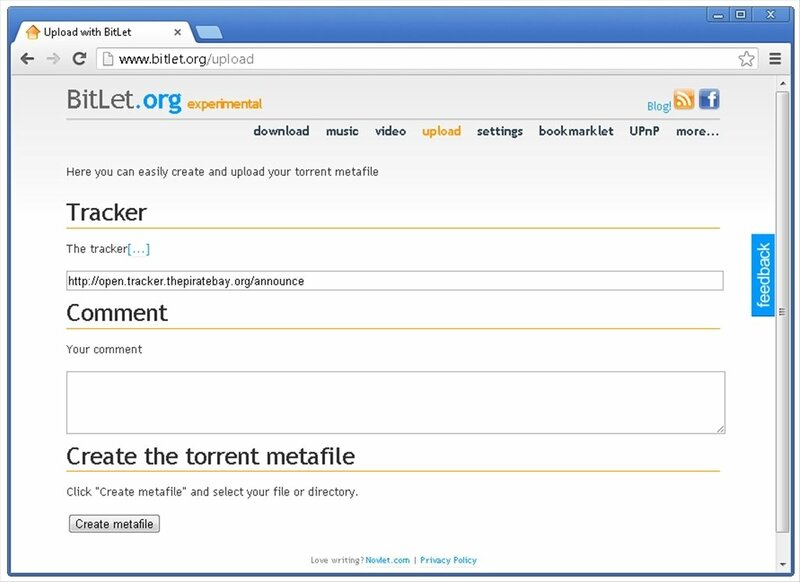 Download torrents directly from your web browser thanks to BitLet. You no longer need a program or desktop client to download torrents. 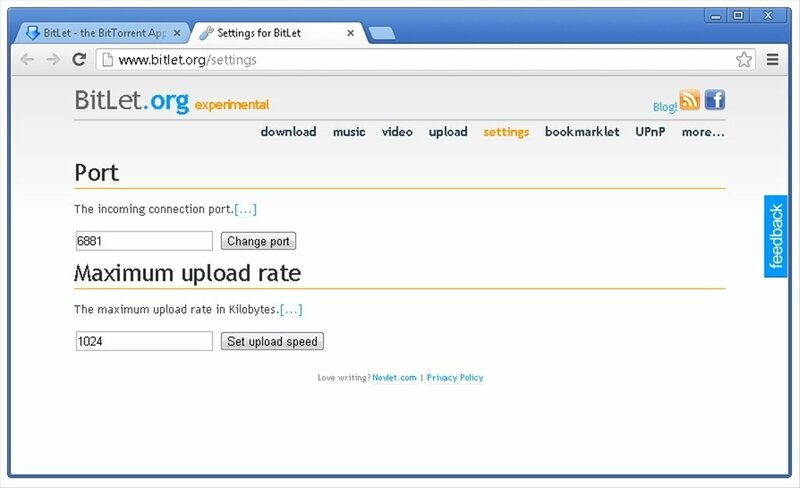 BitLet is a Java web application that allows you to download torrents. 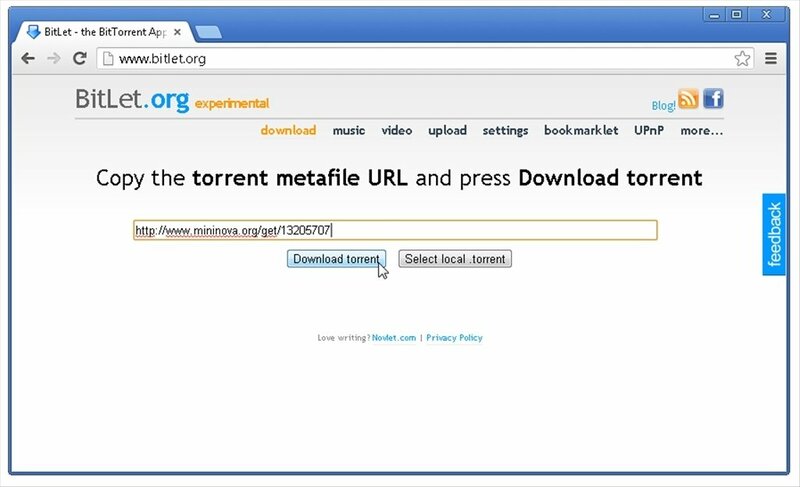 A Java applet for downloading torrent files directly from your browser. Go to any of the torrent search engines that are on the web and locate whatever you want to download. All you have to do is copy its link, paste it into the input field and press the "Download torrent" button: it will automatically be added to the download queue. You can also select torrents already downloaded to your hard drive. Natively integrated into some search engines such as "Supernova" or "Gameupdates". Acts as a seeder, maintaining the download window open. Define which ports to use and the speed. Access BitLet and you will be able to download torrents easily and without needing to install any programs, thanks to this online BitTorrent client. This download requires Java 1.5 or above.